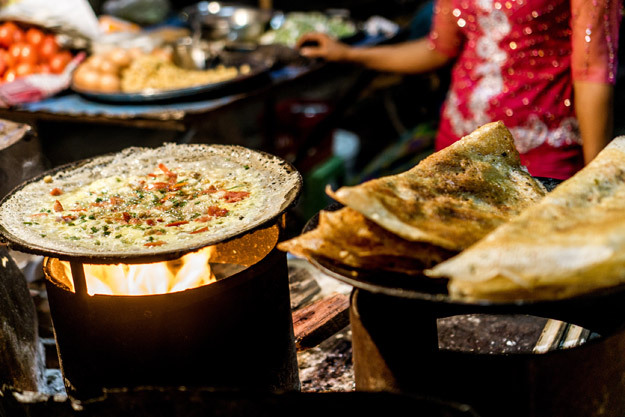 If you’re planning a holiday to India, the chances are that one of the first items on your itinerary is sampling some of the country’s sensational food. Indian ingredients and dishes have become famous around the world, as people have fallen in love with India’s curries, snacks and desserts. “Travel really does add to the variety and spice of life. Wherever you go, you should always savour the opportunity to try new and unexpected cuisines. If you want to sample the best of the culinary world of the Indian region you’re visiting, you’ll need to know what to try before you arrive. So, here is our quick guide to the different regions of India through food. He is certainly right, and one of the first things people want to do when they visit India is sample authentic Indian curries! Consisting of layers of warming rice and delectable meats such as chicken, or a combination of vegetables, Biryani is a must for anyone visiting Northern India. These bitesize pieces of culinary heaven are perfect for a quick mid-evening snack, an afternoon energy boost, or frankly for any meal of the day. 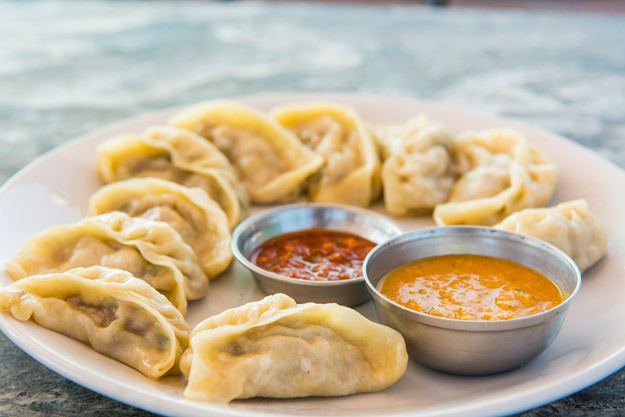 Once you’ve tried momos, you’ll never forget them! Punjab is famous for a variety of foods, from sweet to savoury. Lassi is a particularly well-loved dessert that originates in this region. A traditional yoghurt-based drink, this milkshake-esque beverage features spices and sometimes fruit, making for a deliciously refreshing drink for those hot days exploring India. This dish was created in the Punjab area, and features a rich tomato-based gravy with whisked full cream, served with hot jeera rice. Perfect for a wholesome group dinner. 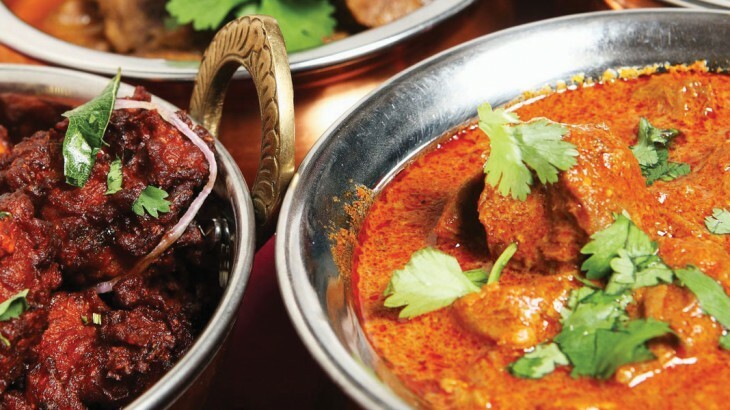 If you want to try something a little different to the typical Indian cuisine that comes to mind, why not try something like Kalaadi? India.com explain that Kalaadi is a “traditional local hill cheese usually made from cow’s milk”. Native to the region of Kashmir, this unique cheese is considered a delicacy of the land, and will provide the perfect comfort food, a little like halloumi, served with tomatoes, onions and cabbage. Craving something sweet? Malpua will satisfy your sweet tooth in moments. These are pancake-like desserts fried in ghee and then dipped in sugar syrup. 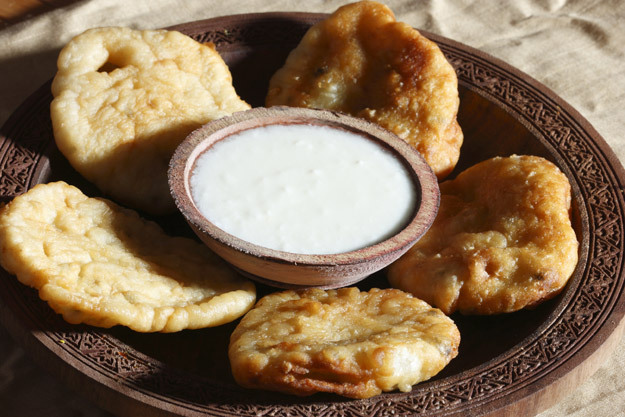 These delicious bitesize snacks are deeply moreish, and are often served with rabdi – an Indian equivalent of rice pudding. If you’re looking for a healthy yet delicious snack to try around central India, Muthia is the perfect choice. These boiled dumplings are often served for breakfast in rural Chhattisgarh, particularly during the winter months. Rice batter, made into dumplings hard boiled and seasoned with the spices and various other flavours the land yields. This is food fresh from the soil, and it’s sensational. 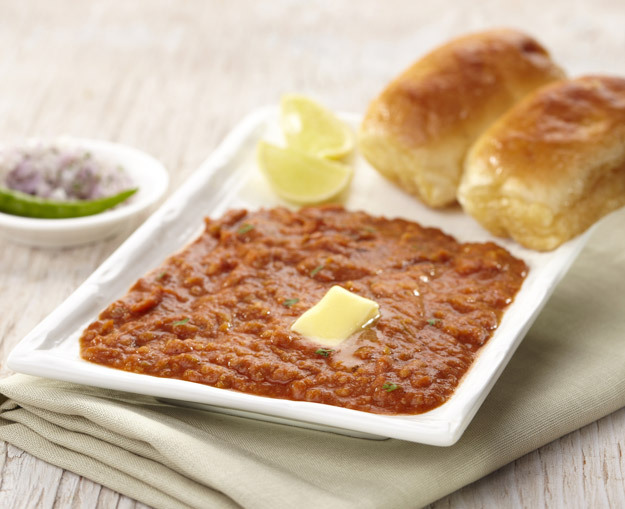 This dish consists of a deep-fried potato patty with garlic and spices served in a bread bun with various chutneys. All of these snacks are perfect to pep up your energy on a city trip to Mumbai during a tour of India. 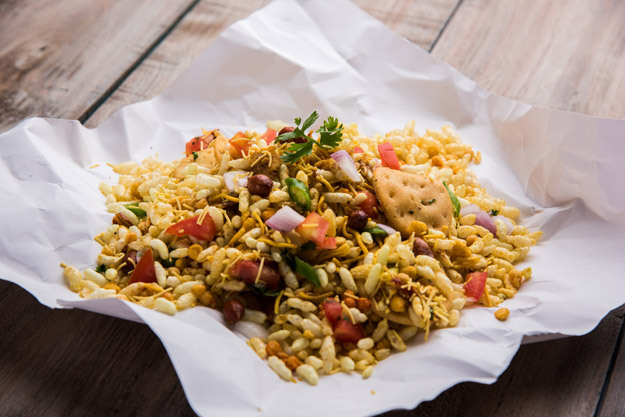 Bhel Puri is a savoury dish originating in Maharashtra, made from puffed rice and thin, crispy fried noodles called Sev. Combine this with the salty, sweet, tart and spicy flavours of onions, potatoes, Chat masala and chutney and you have a delicious plate full of complex yet complementary flavours. Simply try it with steamed rice and enjoy! Vada is a South Indian snack staple made of a lentil or flour batter fried into a doughnut shape this is the perfect neutral carb to accompany your craving for chutney and lentils. Of course, you can’t travel to South India without trying dosa. In Tamil Nadu you can find the most authentic dosa dishes which is now the most famous South Indian cuisine eaten around the world. Travelling around the region, you will encounter many types of dosas, but the most popular is the masala dosa. Here, a fermented crepe made of rice batter is filled with potatoes and served with sambharand coconut chutney. Delicious! Kerala is of course home to many delightful fish dishes, but for something a little different, try beef roast with porotta. Thick chunks of beef in a thick onion and tomato gravy will warm you from within, best tried with porotta, a soft layered bread. Editor’s Note: This blog was originally published in October 2016 and has been refreshed. India food and drink, travel. permalink.